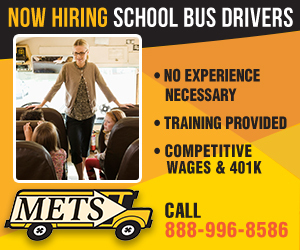 NOW HIRING & TRAINING SCHOOL BUS DRIVERS METS METS - Michigan Educational Transportation Services is hiring and training school bus drivers for assignment at Mona Shores Public Schools. You can work in the community you live in, with a work schedule that matches your child's school schedule. No experience is necessary. Training is provided for qualified candidates who enjoy working with children, have a safe driving record and are able to pass DOT physical & drug testing requirements. 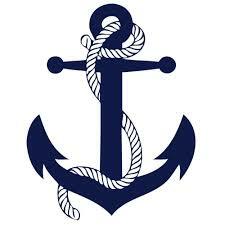 Competitive wages and 401k retirement savings options are available. Call for more information at 888-996-8586.